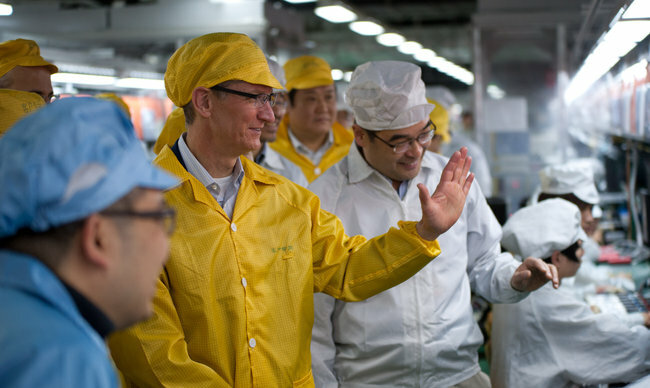 Hooray for Apple CEO Tim Cook for seriously addressing labor issues in China. When will Nike follow suit? Business ethics presents a dilemma when it comes to purchases from low-wage countries. Cheap labor in China makes cool iPhones for us, and cheap labor in Indonesia makes snazzy Nikes. But should an ethical person buy these products? More specifically, are Nike and Apple unethically exploiting the people who make the products they sell so profitably? I’ve written before that Nike’s business practices are unethical, while Apple seems to be trying to do right by the workers who make its products. A January New York Times article highlighted abusive working conditions at Foxconn, a major supplier of iPhone and iPad parts in Shenzen, China. In response Apple requested an independent audit of Foxconn,and Foxconn announced an immediate pay raise. Now the New York Times reports that Tim Cook, ,Apple’s CEO, has actually toured a Foxconn factory where its products are made, and the audit he requested has slammed Foxconn for over-long hours and dangerous working conditions. In response, Foxconn promised to make substantial improvements and bring their plants into conformance with Apple’s code of conduct. “Mr. Cook’s appearance at a facility where Apple devices are made was an illustration of how differently Apple’s new chief relates to an issue that first surfaced under his predecessor, Steven P. Jobs. I buy Apple products. I don’t buy Nike.